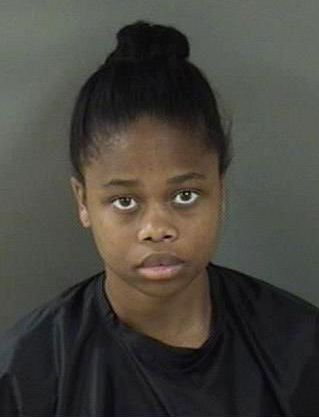 After being arrested Friday for stealing items from a jeweler in a Florida mall, Prolancia Aquila Turner, 26, was pissed. Not at herself, of course, for hiding earrings valued at $12.50 in the waistband of her pants. Seen in the adjacent mug shot, Turner was charged with retail theft for pilfering the merchandise from a Claire’s outlet in a Vero Beach mall. She is scheduled for a June 7 court appearance in connection with the misdemeanor count. Turner’s rap sheet includes two other theft arrests, both in 2015. It is unknown whether she considers those collars equally unjust as her latest bust.